What’s better than one buzzer-beater? How about … two buzzer-beaters! That’s exactly what happened in a junior varsity hoops game in Indiana last week. Let’s break down the situation before we get to the video. The game was between Avon and Harrison (classic rivalry). Harrison’s Nathan Earl hit a 3-pointer to tie the game with only one second remaining (just Nathan Earl being Nathan Earl, if you ask us). So it seemed this game was destined for overtime, right? Well, judging by the headline on this post (and the first paragraph of this post) we all know the answer to that. 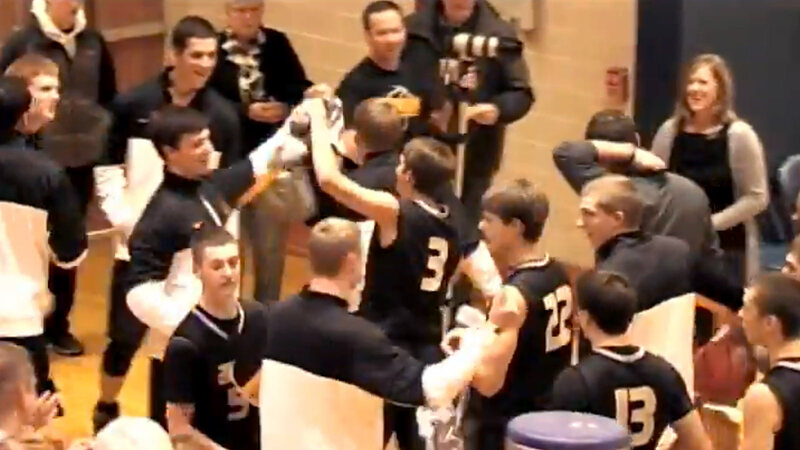 Avon’s Alec Pfledderer (no idea how you pronounce that one) calmly drained a half-court shot to win the game (just Alec Pfledderer being Alec Pfledderer, if you ask us).